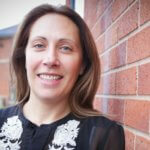 "I have attended a few Aqua Enviro events and always find them interesting and informative. Aqua Enviro bring together people from the industry to collaborate ideas and listen to experiences. It is always a good opportunity to learn something new from experienced people within a given sector. I find the Aqua Enviro speakers very knowledgeable and engaging and any event hosted by Aqua Enviro is guaranteed to provoke interest. I would definitely recommend attending Aqua Enviro events." "A very, very well run and organised conference with just excellent content"
Specialist technical training courses and conferences for the water, wastewater, biosolids and organic waste industries.